It’s the moment we’ve all been waiting for. Any perfumista worth his or her Chanel No. 5 certainly knows the name Roja Dove. I knew it from the books I have written by him, as he is known as the world’s foremost authority on perfumery. I had the good fortune of being able to attend the Sniffapalooza Spring Fling in May of this year, where Roja flew in from London to make a personal appearance and launch his new fragrance line at Bergdorf Goodman. I had the even greater fortune of getting to interview him one on one. Now mind you Roja is not what you’d call a celebrity or rock star perfumer. I think he’d shudder at the suggestion of that. 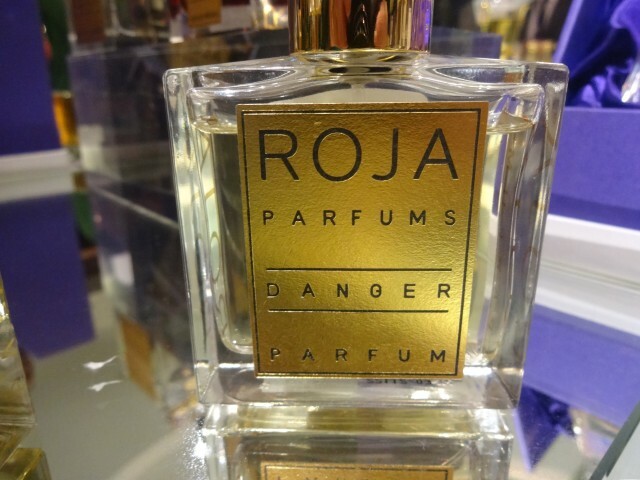 No other living perfumer has the prestigious title of “Professeur des Parfums,” which Roja earned six years into his fragrance career at the House of Guerlain, where he learned, and excelled at the art of fine perfumery. Roja was also named Guerlain’s Global Ambassador, the first non-family member to have that honor bestowed upon him. 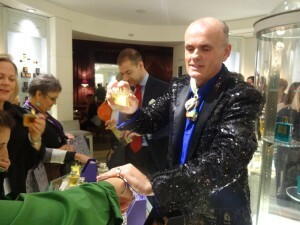 No other perfumer has been invited to open a haute perfumerie within the London department store Harrod’s, with carte blanche to sell whatever perfumes he cared to, including his own bespoke fragrances. Most recently, Roja was appointed as Creative Ambassador for the GREAT Britain campaign by the British government that honors the best in British creativity. 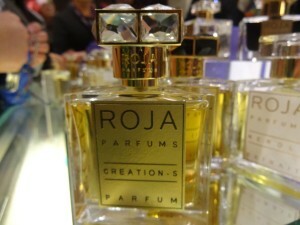 Roja’s appointment, which he calls “a very humbling award accolade,” recognizes his passion and creative work in perfumery. 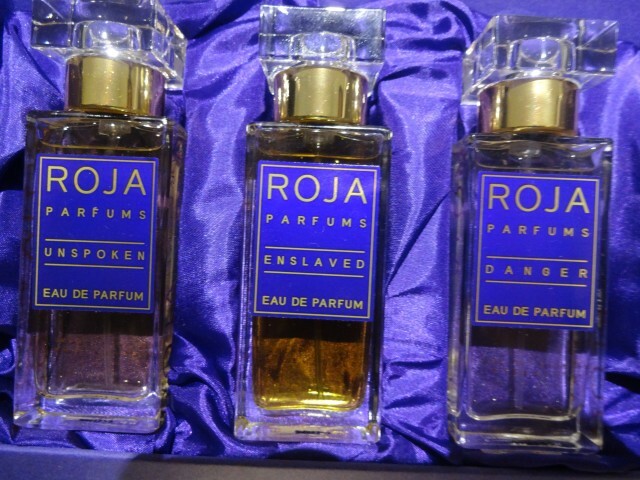 Roja is the definition of a Master Perfumer. Roja’s fragrant journey began one night when he was about five or six years old, when his mother came to kiss him goodnight before going out for the evening all dressed up. “I remember the smell of her face powder and her scent and I believe just like that [snaps fingers] at that moment that I was put on a path that I knew I was born to walk down.” His passion was further ignited on a visit to the Guerlain boutique in Paris. Roja knew his calling was to work at Guerlain, and started bombarding the company with requests for training. Robert Guerlain decided it was best to harness this passion within the family perfume house and hired Roja and started to train him in classical perfumery. Roja quickly rose to prominence within the fragrance house, being named Guerlain’s Global Ambassador. However, when the Guerlain family sold the business, he realized it was time to leave and strike out on his own. 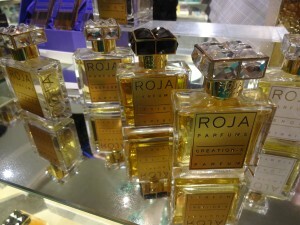 What brings Roja to Bergdorf Goodman and the US is the launch of his namesake line Roja Parfums. And he’s here to present it to Sniffapalooza first. Roja met founder Karen Dubin years ago when he was at Bergdorf’s doing perfume consultations, and his passion inspired her to create Sniffapalooza. “We had an amazing session we talked about fragrance, we talked about everything,” says Karen. “I walked out of that session somehow changed, somehow feeling differently but even more addicted and passionate about perfume than I ever was.” He acknowledged he’s the catalyst for our group, and what better inspiration can there be for fragrance lovers? “How do I make my perfumes? I always always start with the name,” says Roja. Names like Scandal, Mischief, Reckless, Innuendo. “What is a scandal? Scandal is when everybody is talking.” Roja says a perfume everybody is talking about can’t be timid. “You’ve got to notice it so it’s a big white floral based around tuberose.” This is not just any tuberose. It’s a real tuberose, extracted using an old technique called enfleurage, a time consuming process using animal fat to pull the perfume oil out of the flowers. Roja’s Scandal is decadent, creamy but not sticky or obnoxious. It will get you noticed, and it is the best tuberose I have ever smelled. In the states he has to call it Creation S for copyright reasons. For Mischief, Roja “thought of a naughty child running into a room getting up to no good. For a perfume to have this feeling it would need to have a freshness about it so this is a very fresh floral.” He also created a series of Extraits, and one of the best is Gardenia, a pure, wonderful gardenia. When Roja finishes his presentation, it seems as if the entire Sniffapalooza group descends upon the the Roja Parfums counter, eager to sample all the fragrances we’ve just heard about. Within an hour Scandal is just about sold out, there’s one bottle of Gardenia left and Danger is already gone. I ask Roja what he thinks about all of this commotion. 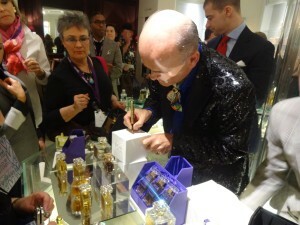 “People are obviously passionate about perfume so doing what I do it’s like nirvana because the people really understand what I’m doing.” He spends the morning signing perfume bottles as quickly as they sell. 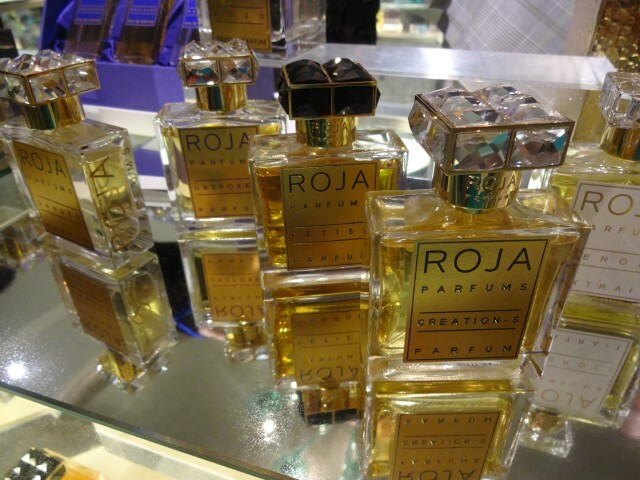 The Roja Parfums line is pure luxury, using the best of the best ingredients, sparing no expense. 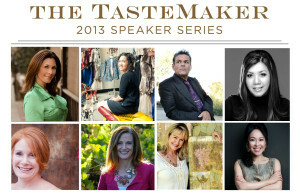 The bottles are artisan crafted, with the gold silkscreened on by hand. The bottle cap “is taken from this diamond ring [of Roja’s] so everything about this is very personal. 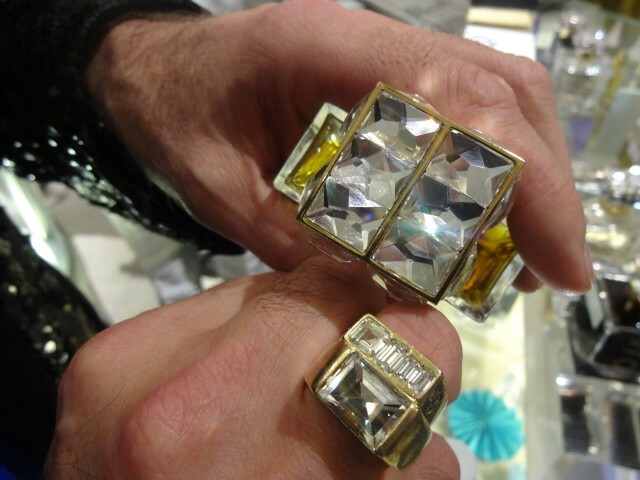 These are all Swarovski crystals that are set into the cap by hand and then all of this is dipped in pure gold, we’re using is 24 carat gold.” As I said, pure luxury. Roja says, “luxury for me is something which cannot be bettered. 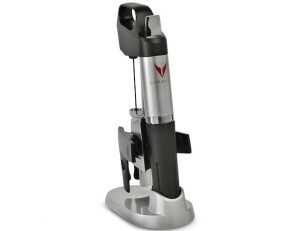 We are always looking to see what can we do that’s better.” Most importantly, “a luxury product can’t be made in volume. I think most people muddle up luxury and expensive and I think luxury and expensive have nothing to do with each other.” Well said.